Becoming a CNA is an excellent way for many to get their foot in the door of the medical profession. Unlike other positions within this field, educational requirements are shorter in duration and can be more flexible. This is demonstrated by the number of online certified nursing assistant training courses that are available. Given the opportunities available to those who possess these credentials, it is recommended to learn the following information about the roles, nature of work and training required. 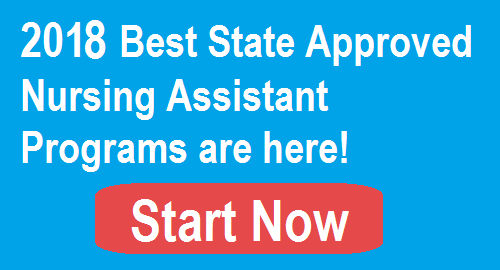 In order to work as a CNA, the individual must be on the state nurse aid registry in the state they wish to work. To be eligible for registry, a few things are required. This includes completing an approved nursing assistant program and passing a State Certification Exam. Other stipulations include submitting to a criminal background check and obtaining a set number of clinical hours in which hands-on training is provided under the supervision of a registered nurse. The clinical component is considered part of the curriculum. These conditions must be met prior to sitting for the certification examination. There is hardly a shortage of accredited programs available. While there is the option for traditional learning, the concept of certified nursing assistant training online has become increasingly popular within the last few years. There are several reasons for this phenomenon but flexibility is typically the main factor. These types of courses allow the student to continue to earn at a current job while completing the required education to obtain a CNA license. Contrary to popular belief, these programs can be just as affordable as their traditional counterparts and just as credible. There are both pros and cons associated with online CNA certification courses. As previously mentioned, these classes are flexible. The learner can work around his busy schedule. However, this may be a downside for those that are not self-motivated. They may find that more structure and guidance is needed. Therefore, this type of learning environment may not be suitable for those who cannot get behind the computer without being told they need to do so at a specific time. Ideal candidates for any type of distance or online learning is self-starting individuals that require little to no supervision of academic studies. As with any other type of classes or educational programs, there are a few things the individual must do to get started. In addition to selecting a program of choice, some steps will need to be completed. This includes checking the requirements for entrance to the program such as deadlines, obtaining transcripts and ensuring that the program is endorsed by the state or another agency such as the Red Cross for example. Proof of immunizations and CPR training may or may not be required depending on the school. Another crucial step is deciding how to pay for school. There are some scholarships available that can make these classes either low-cost or entirely free to the student. Study materials provide the student with in-depth knowledge that will directly pertain to their duties as a CNA. This often includes a small review of pharmacology basics, study of the body and distinguishing normal from abnormal functions, how to accurately assess and record vital signs and measurement of input and output. Another important component includes caring for clients of all ages, backgrounds with various types of impairments and health conditions. Use of personal protective equipment (PPE) and various types of precautions such as Universal Precautions and isolation precautions is also taught. One of the key portions of any type of program including online CNA certification classes includes hands-on training. Students may watch clips and demonstrations on how to complete specific skills. Skills that must be acquired include assistance with feeding, bathing, toileting and general comfort measures. The nurse aid will also be taught how to assist the patient with ambulatory devices such as canes and walkers, repositioning and transfer techniques and how to avoid injuries. Not only is the student responsible for learning these things but will also have to complete a required number of hours under licensed health care personnel to demonstrate and practice these skills to successfully complete the course and sit for examination. There are specific laws and regulations in place for the CNA. Commonly called the scope-of-practice, this is a set of rules that defines what the nurse aid can and cannot legally do. However, this is not the only governing body. The nursing board in the state of practice provides further guidance to these rules. In addition to covering the type of services that can be provided by the CNA, they also stipulate the maximum allowable hours that may be worked, explain actions that can result in a civil or criminal charge and what one must do in order to keep remain active on the state registry. Although much of this will be covered in the online CNA certification course, it is the responsibility of the student to familiarize herself with these regulations. As with most other occupations requiring certification, CNA renewal is necessary. In most states, this is a minimum of every two years. However, there are criteria that must be met in order to renew and remain on the registry. This typically includes showing proof of employment or some type of paid work within a specific time-frame. Those who wait too long to renew may be required to complete a refresher course or even re-take the certification exam. Becoming a CNA is considered a career itself in which the individual gets to work alongside other professionals such as physicians, nurses and other medical personnel.